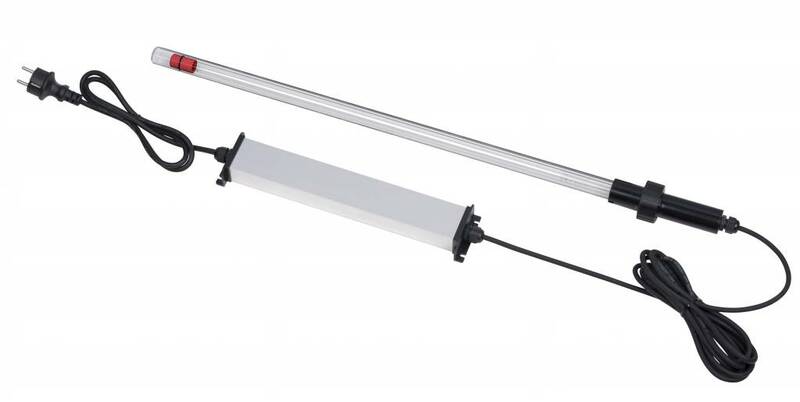 The CleanLight Sword is useable for disinfection of watertanks, bassins and pools, but also for disinfection of surfaces. The CleanLight Sword generates UV radiation, which destroys bacteria (incl. the Legionella bacteria). 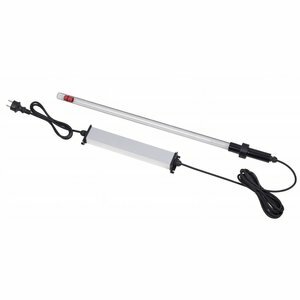 The CleanLight Sword ensures clean, fresh and clear pond water or surfaces in an efficient and environmentally friendly manner. The UV radiation neutralizes bacteria, viruses and other primitive organisms, and prevents them from reproducing. The CleanLight Sword has an electronic ballast to ensure a constant power supply. Always use protective goggles and wear latex gloves when putting the CleanLight Sword into operation.